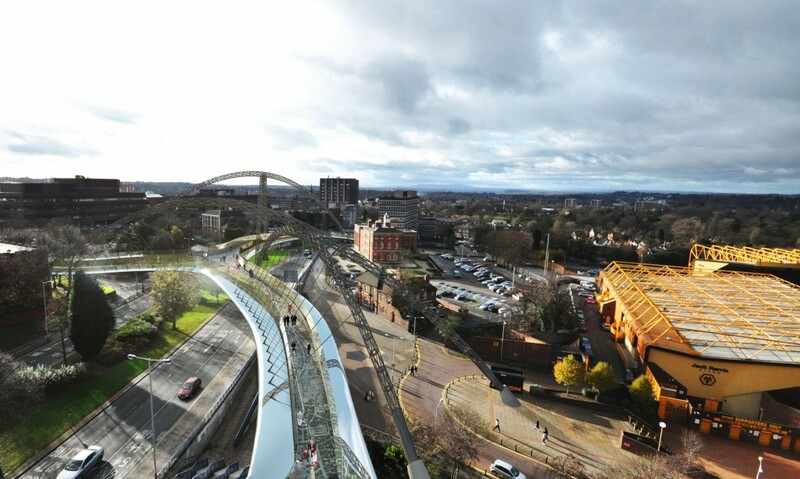 Landmark regeneration and pedestrian footbridge in Wolverhampton. 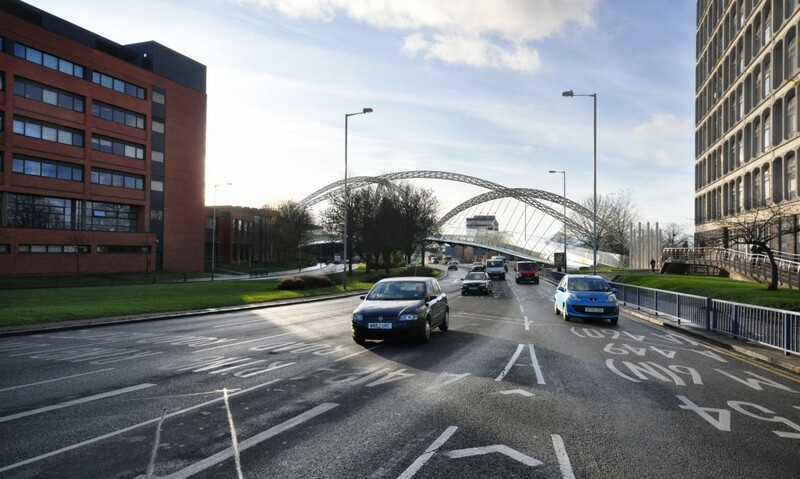 A regeneration project based around a high profile pedestrian footbridge reconnecting the city centre to the increasingly important northern quadrant of the city, currently separated by a 1960’s inner ring road. 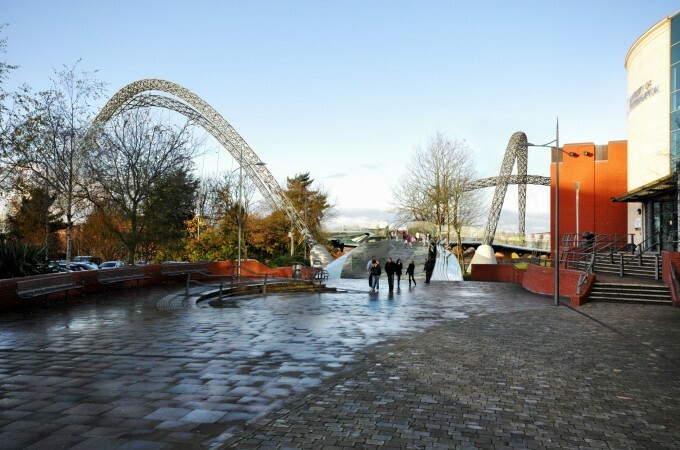 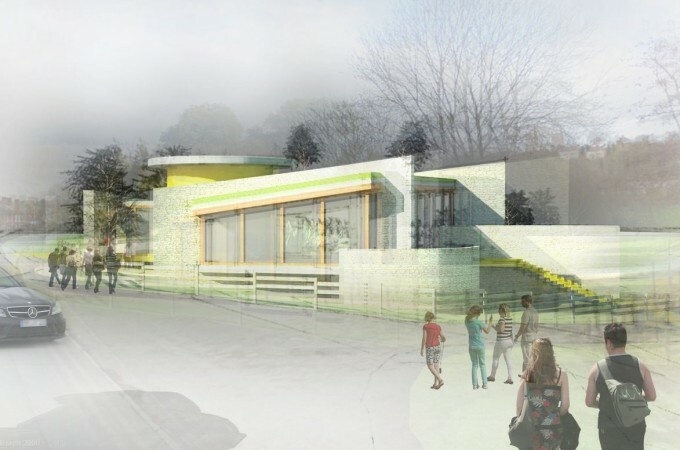 The bridge concept has attracted considerable interest from the business, academic and sporting sectors in the city, with support from the City Council, the University of Wolverhampton and Wolverhampton Wanderers Football Club. 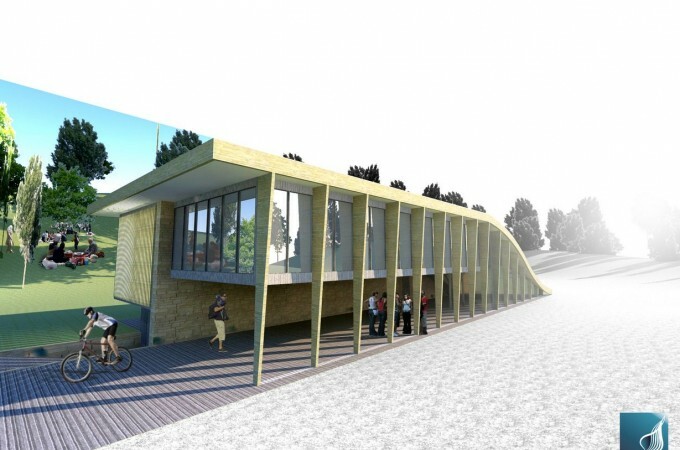 The gold bridge could be a new landmark construction that changes the face of the City of Wolverhampton. 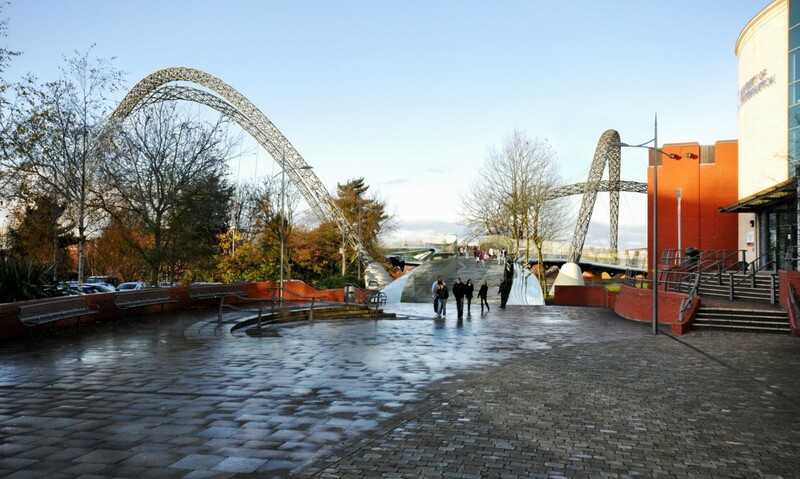 The footbridge would form a spectacular silhouette – three flowing arches spanning a total of 180 meters, and at its highest, standing some 40 meters above the City. 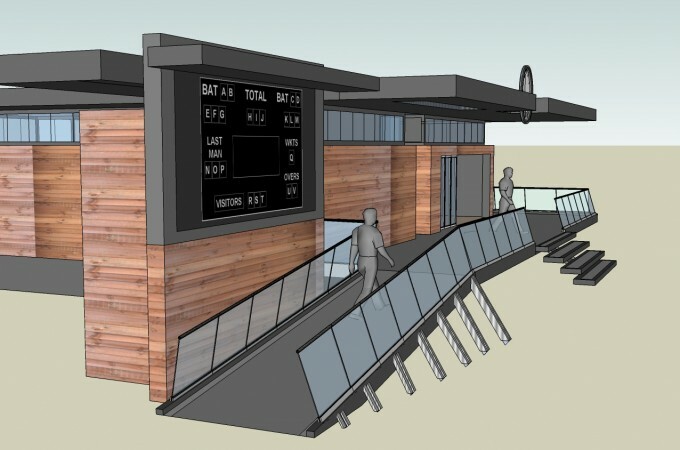 The design offers a safe and comfortable experience for users, by providing appropriate levels of lighting and adequate sight lines. 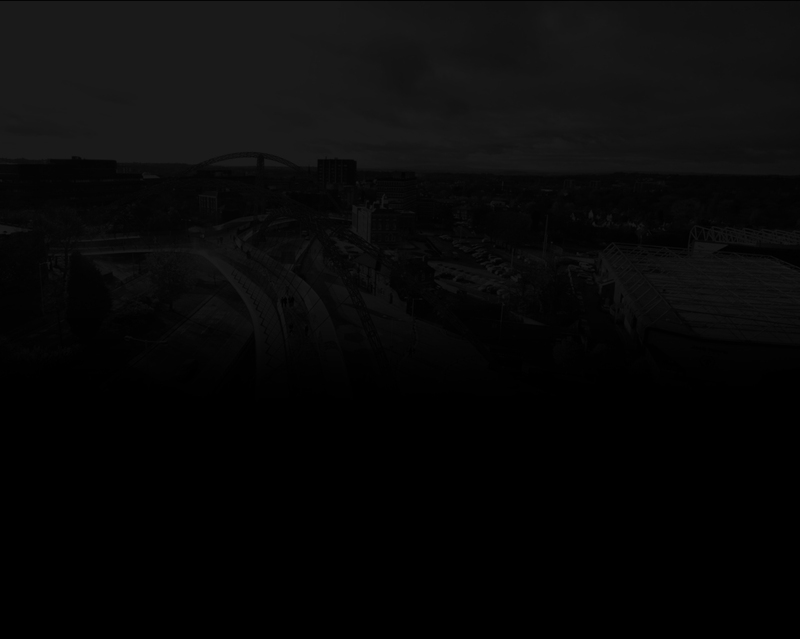 An urban environment can sometimes make people feel ill at ease; so it is vital that the footbridge is open and well lit along its length. 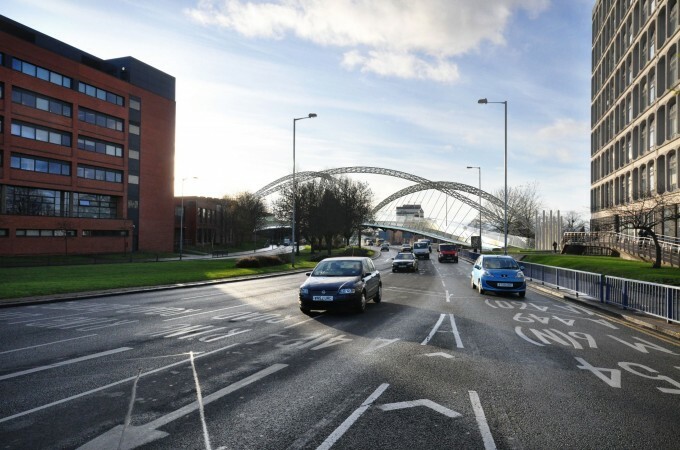 The bridge would represent a physical and symbolic gateway to new jobs, state of the art student housing, new learning opportunities, together with the aspirations held by Wolverhampton Wanderers for the Molineux.